Not only do we produce stunning visuals and home enhancing finishes, we have taken great care to create a friendly, seamless service, which impacts your home in a positive way. Here at J Lowther & Sons Driveways, our expert team promise professionally finished driveways & patios, no matter how big or small the project may be. Block Paving creates a stunning finish on driveways, paths, patios and more. Our talented, experienced team can create beautiful, unique feature that last for years. Our Landscaping service promises to deliver outstanding service, with a design to match your vision and your budget. Let us bring your ideas to life. 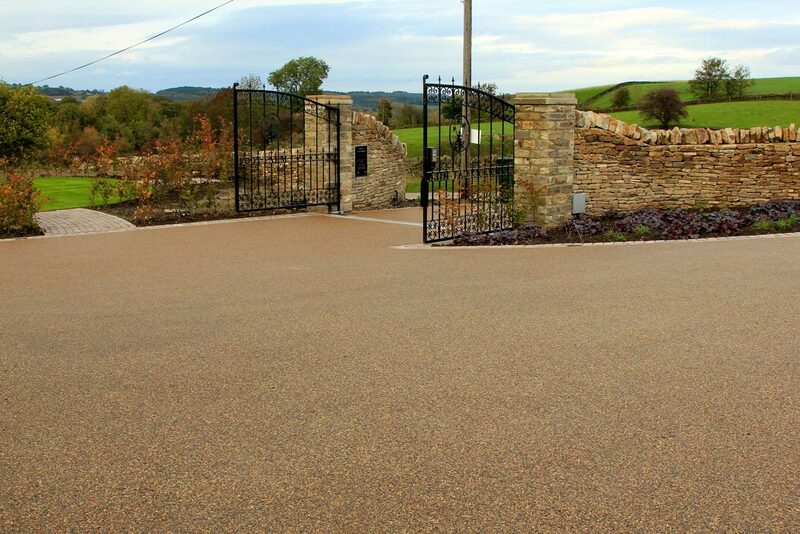 Resin Driveways create a beautiful and unique finish, with a huge variety of colours and finishes to match every style and budget. Our Patios promise quality, care and an impressive finish. Not only will you add value to your home, but create a whole new space to relax in. Driveways can often be the first impression of a property, which is why we know how important it is to take just as much care with driveway trouble, as you would if there was an issue with your roof or plumbing. Transforming Driveways in Warrington for over 30 years. We provide bespoke Driveways in Warrington and the surrounding areas, covering: Stockton Heath, Lymm, Appleton, Appleton Park, Appleton Thorn, Grappenhall, Latchford, Stretton, Hatton, Daresbury, Moore, Preston on the Hill, Preston Brook, Whitley, Antrobus, Great Budworth, Weaverham and Northwich, Higher Walton, Wigan and St Helens. For more information, advice or a free quote, don’t hesitate to get in touch and chat with a member of the J Lowther & Sons Driveways team today on 01925 394 813. Fantastic job done! Couldn’t recommend highly enough! A big thanks to Jack and his team for our new resin driveway. Very professional and delivered a really excellent result. We couldn't be happier. Would definitely recommend. Really pleased with the end result! Work carried out really well and to a high standard. Would highly recommend. © 2018 J lowther & Sons. Website by Mosaic Digital Media.